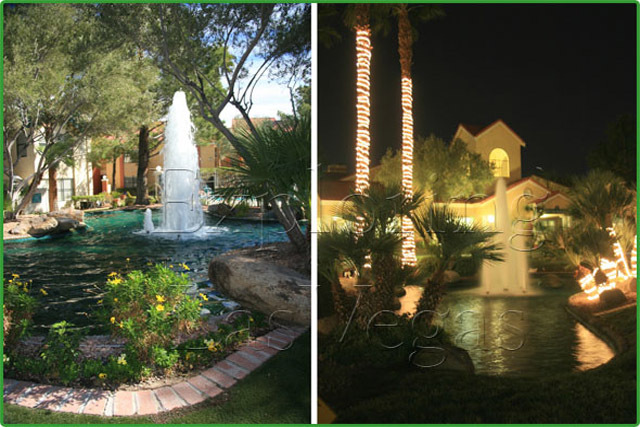 This unique garden is surrounded by beautiful landscaping, with flowing fountains, lush green trees, palms, shrubs, colorful flowers. A unique atmosphere, picture perfect for a memorable occasion, day or evening. The garden is an ideal setting to have your wedding or renewal of vows with tranquil beauity, and waterfalls. We offer complete wedding packages starting at $275.00. There are many spectacular locations for your special wedding poses that will inhance your experience. 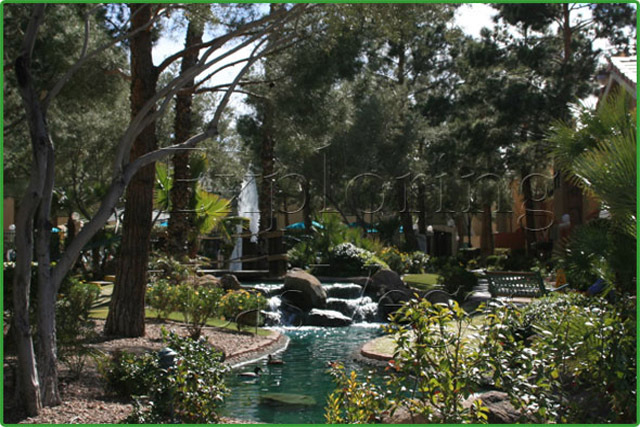 Westgate Resort Garden is conveniently located only minutes off the Strip. We provide full service, reception, flowers, limousine, formal wear, photo/video, just ask. Our deluxe package includes an exciting experience tour of the strip.